Welcome to Day 2 of the 12 days of Christmas on Ellie Bakes, where I will be sharing a festive recipe every day until Christmas Eve. I think Christmas is the best time of the year for baking, and I have lots of great recipes to share! 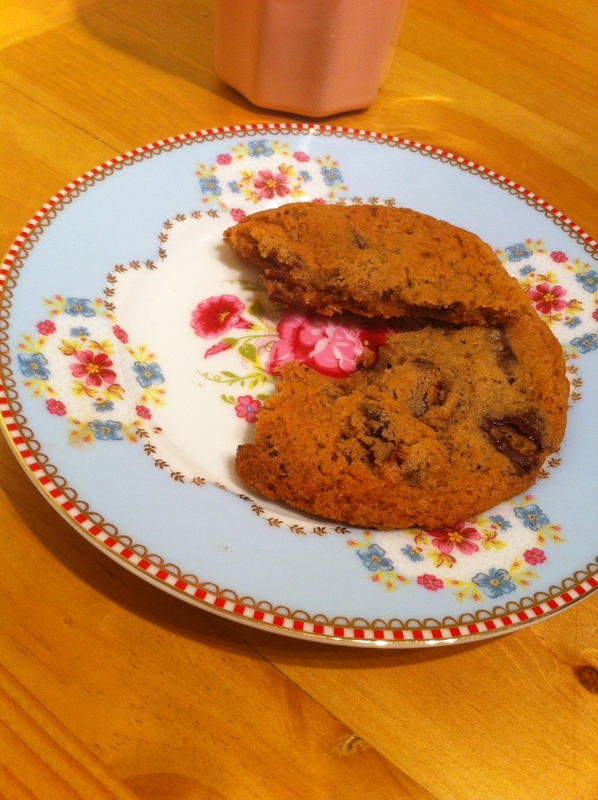 These cookies are really quick to make, perfect for baking when unexpected visitors pop in! They’re best eaten straight from the oven, while the chocolate is still melted. They work really well with cranberries and dark chocolate, but you can use whatever chocolate you have in the cupboard. Orange zest also works really well in place of the cinnamon. Easter just wouldn’t be Easter without Hot Cross buns, and they are the perfect thing to bake on Easter Saturday: leave them to prove during the day, bake them in the evening, and they’ll be ready for Easter Sunday breakfast! When I was little I used to call them ‘hot scone buns’, but now I think they’re much better than scones – especially flavoured with orange and cinnamon and studded with raisins and citrus peel like these ones. These are best eaten freshly baked from the oven, but are just as good up to 3 days after, lightly toasted and spread with butter. Bubble the honey and sugar in a saucepan until syrupy, then brush over the buns to glaze. Baking with yeast has always scared me slightly, as there seem to be so many possible ways it could go wrong! The apricot couronne (https://elliespinkcakes.wordpress.com/2013/09/26/apricot-couronne/) I made back in September was my first real foray into the world of yeast, so I decided it was high time I conquered my fear! I had a couple of problem making these, the first being that my mixing bowl has acquired a hole, and has now made its way to the bin. 😦 I wasn’t going to let this stop me however, so I decided the only course of action was to make the dough on the kitchen table! My second problem was that I don’t actually have a rolling pin here at uni… cue new use for a lemondade bottle! These cinnamon buns are surprisingly easy to make, as they only require one rise. The dough is very quick to make, and only needs 5 minutes of kneading, so they are perfect if you don’t have much time. I made the dough and rolled the buns, then left them to prove whilst I went to a lecture, then came back and baked them – heaven! These buns are incredibly moreish, and they also make your kitchen smell amazing! 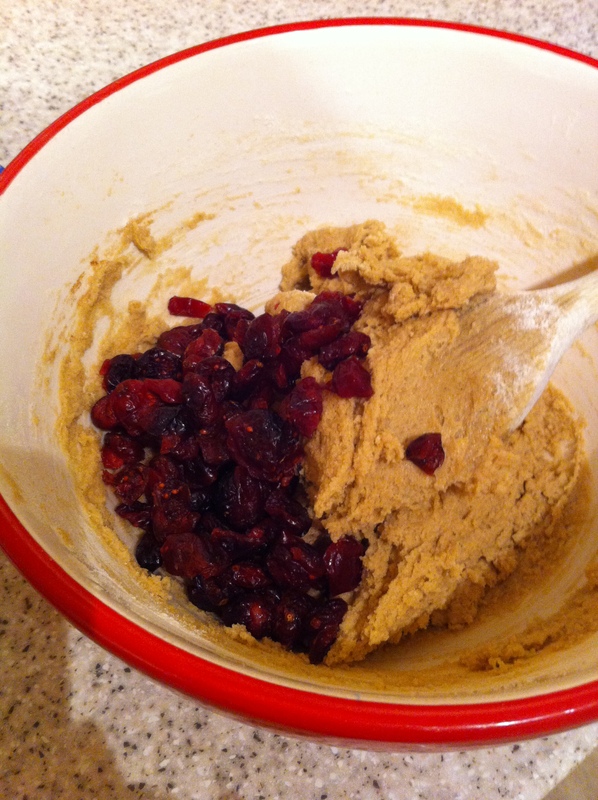 For the dough, set aside 50g of flour. In a large bowl, (or on the table…!) 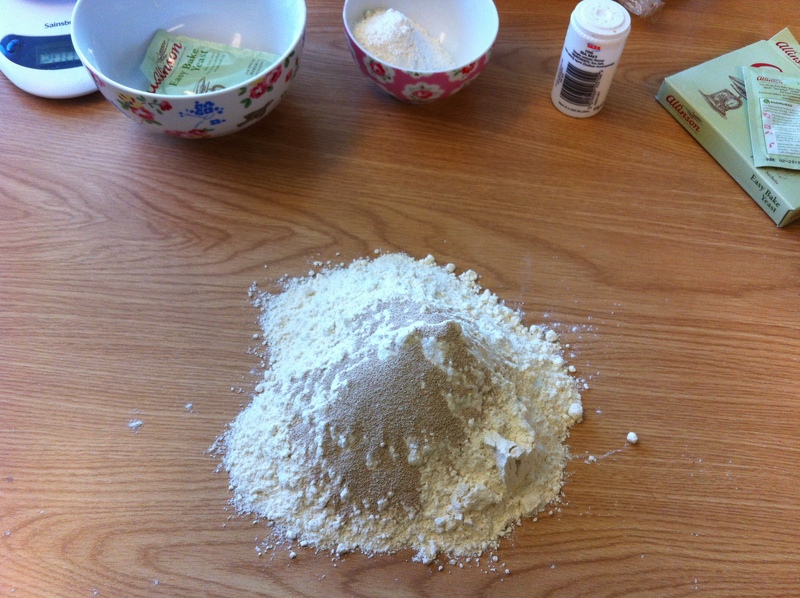 mix the remaining flour, the sugar, salt, and yeast together until evenly dispersed. Set aside. Heat the water, milk, and butter together in the microwave until the butter is melted and the mixture is hot to touch. Stir the butter mixture into the flour mixture. Add the egg and enough of the reserved flour to make a soft dough. The dough will be ready when it gently pulls away from the side of the bowl and has an elastic consistency. On a lightly floured surface, knead the dough for about 3-4 minutes. Place in a lightly greased bowl and let rest for about 10 minutes. 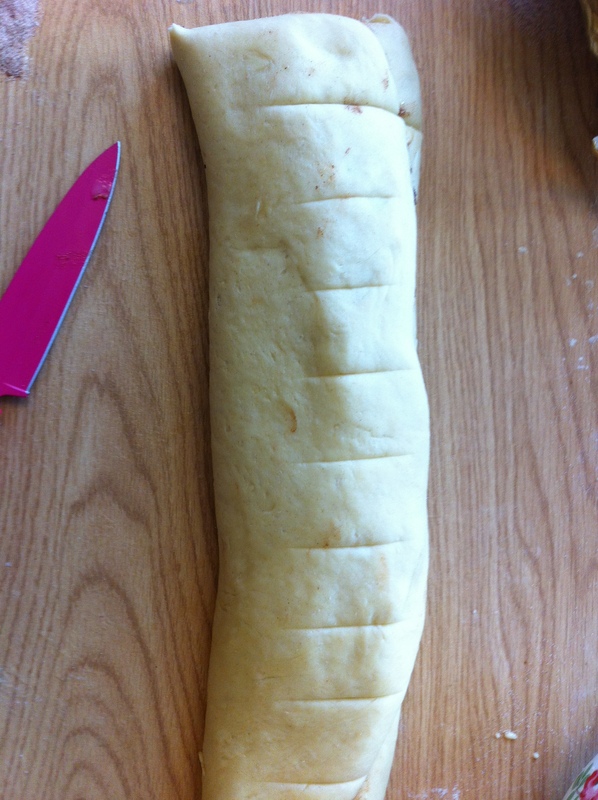 Make the filling: After 10 minutes, roll the dough out in a 14×8 inch rectangle. Spread the softened butter on top. 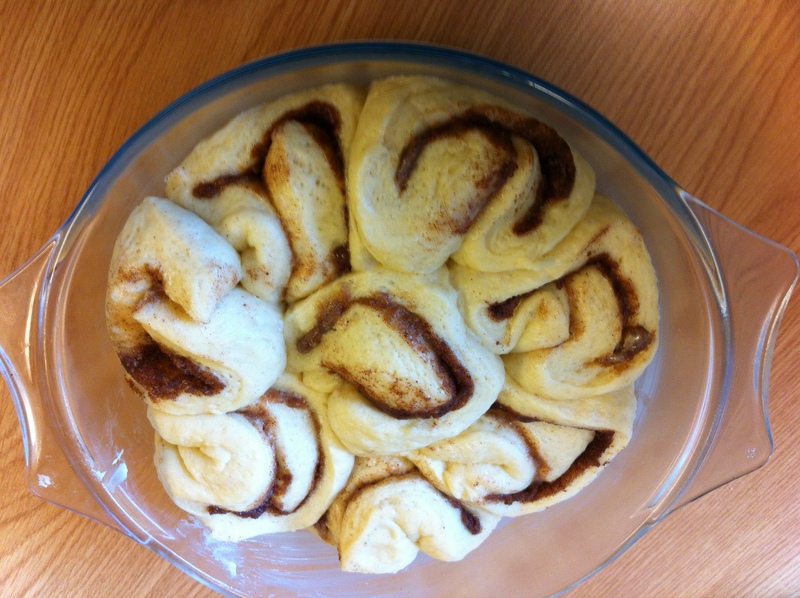 Mix together the cinnamon and sugar and sprinkle it all over the dough. Add more cinnamon/sugar if desired. 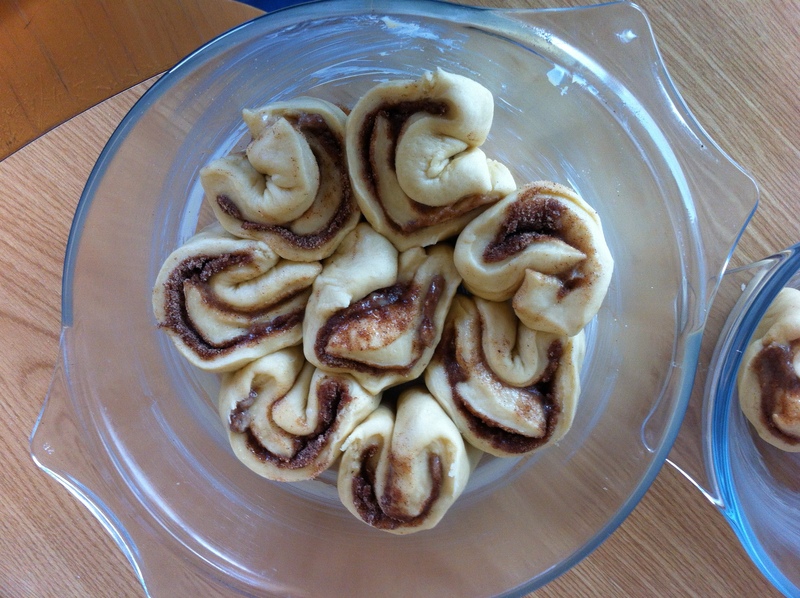 Roll up the dough tightly. Cut into 11 even pieces and place in a lightly greased dish. Leave to rise for about 2 hours at room temperature, or overnight in the fridge. After the rolls have doubled in size, preheat the oven to 190°C. Bake for 25-30 minutes until lightly browned. You might need to cover them with silver foil. 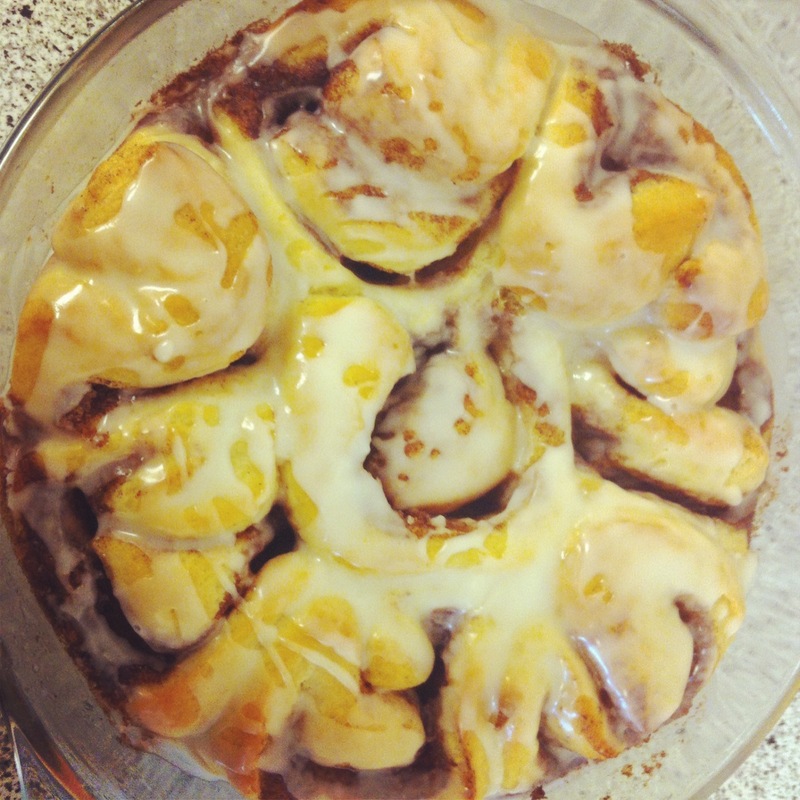 Right before serving, top your cinnamon rolls with glaze. 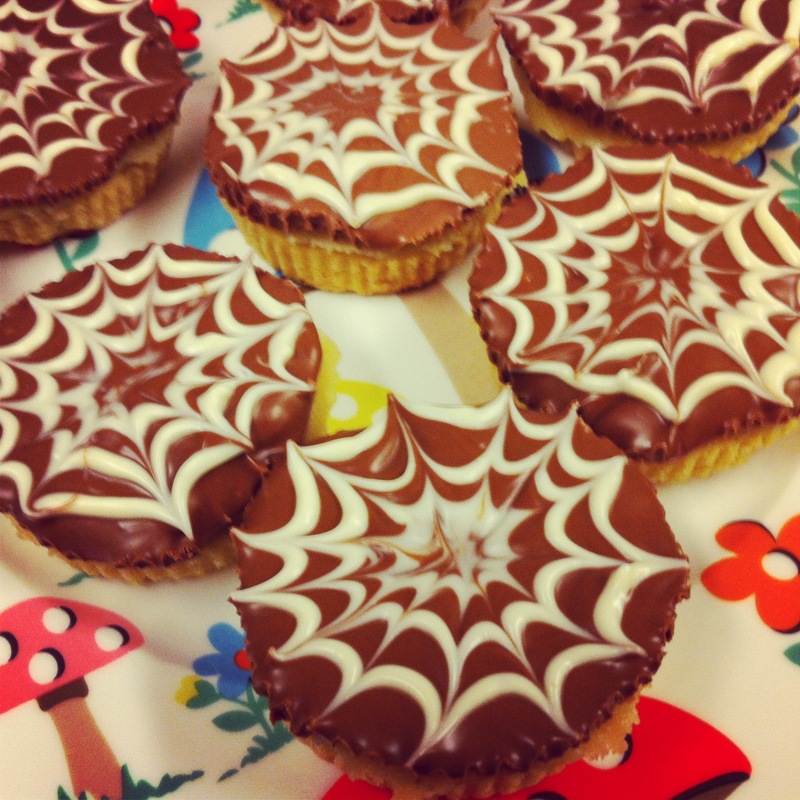 Mix the icing sugar and milk together until smooth and drizzle over the rolls.